As soon as we address questions about the individuality and structure of a specific urban artifact, a series of issues is raised which, in its totality, seems to constitute a system that enables us to analyze a work of art. As the present investigation is intended to establish and identify the nature of urban artifacts, we should initially state that there is something in the nature of urban artifacts that renders them very similar-and not only metaphorically-to a work of art. They are material constructions, but notwithstanding the material, something different: although they are conditioned, they also condition. This aspect of “art” in urban artifacts is elosely linked to their quality, their · uniqueness, and thus also to their analysis and definition. This is an extremely complex subject, for even beyond their psychological aspects, urban artifacts are complex in themselves, and while it may be possible to analyze them, it is difficult to define them. The nature of this problem has always been of particular interest to me, and I am convinced that it directly concerns the architecture of the city. If one takes any urban artifact-a building, a street, a district-and attempts to describe it, the same difficulties arise which we encountered earlier with respect to the Palazzo della Ragione in Padua. Some of these difficulties derive from the ambiguity oflanguage, and in part these difficulties can be overcome, but there will always be a type of experience recognizable only to those who have walked through the particular building, street, or district. function, its architecture; then the street systems possible in the city and many other things. 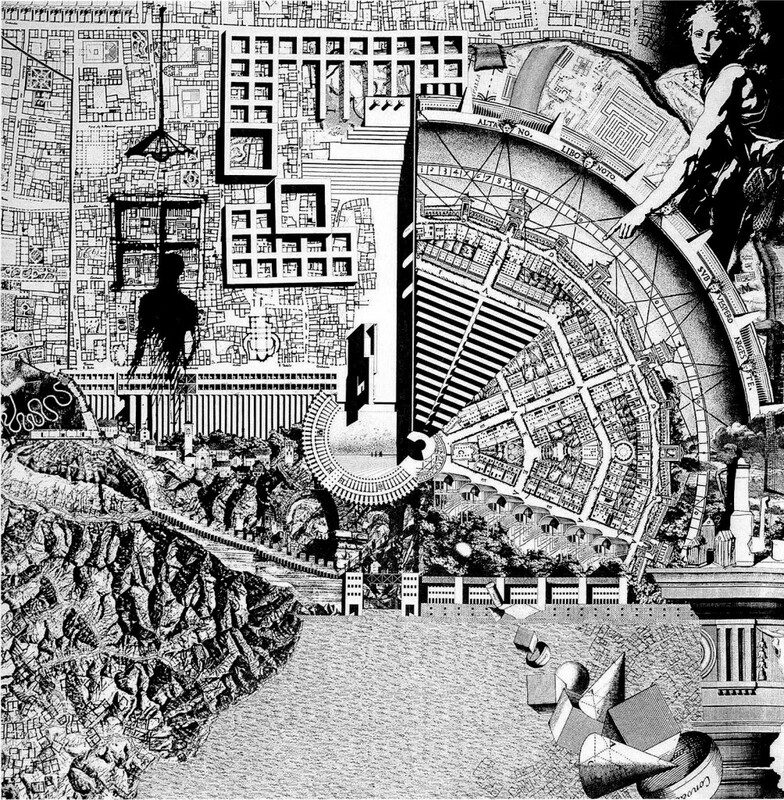 We must therefore concern ourselves with urban geography, urban topography, architecture, and several other disciplines. The problem is far from easy, but not impossible, and in the following paragraphs we will attempt an analysis along these lines. This means that, in a very general way, we can establish a logical geography of any city; this logical geography will be applied essentially to the problems of language, description, and classification. Thus, we can address such fundamental questions as those of typology, which have not yet been the object of serious systematic work in the domain of the urban sciences. At the base of the existing classifications there are too many unverified hypotheses, which necessarily lead to meaningless generalizations. By using those disciplines to which I have just referred, we are working to~rd a broader, more concrete, and more complete analysis of urban artifacts. The city is seen as the human achievement par excellence; perhaps, too, it has to do with those things that can only be grasped by actually experiencing a given urban artifact. This conception of the city, or better, urban artifacts, as a work of art has, in fact, always appeared in studies of the city; we can also discover it in the form of greatly varying intuitions and descriptions in artists of all eras and in many manifestations of social and religious life. In the latter case it has always been tied to a specific place, event, and form in the city. born in unconscious life. This life is collective in the former, individual in the latter; but this is only a secondary difference because one is a product of the public and the other is for the public: the public provides the common denominator. City and region, agricultural land and forest become human works because they are an immense repository of the labor of our hands. But to the extent that they are our “artificial homeland” and objects that have been constructed, they also testify to values; they constitute memory and permanence. The city is in its history. Hence, the relationship between place and man and the work of art-which is the ultimate, decisive fact shaping and directing urban evolution according to an aesthetic finality- affords us a complex mode of studying the city. merely serve as an introduction to our study; it will be more useful to return to it after we have considered several other aspects of the urban artifact-of the city, that is, as a great, comprehensive representation of the human condition. I will interpret this representation against the background of its most fixed and significant stage: architecture. Sometimes I ask myself why architecture is not analyzed in these terms, that is, in terms of its profound value as a human thing that shapes reality and adapts material according to an aesthetic conception. It is in this sense not only the place of the human condition, but itself a part of that condition, and is represented in the city and its monuments, in districts, dwellings, and all urban artifacts that emerge from inhabited space. It is from this point of view that a few theorists have tried tb analyze the urban structure, to sense the fixed points, the true structural junctions of the city, those points from which the activity of reason proceeds. Sitte’s admonition is important for its empiricism, and it seems to me that this takes us back to certain American experiences which we mentioned above, where artistic quality can be seen as a function of the ability to give concrete form to a symbol. Sitte’s lesson beyond question helps to prevent many confusions. It refers us to the technique of urban construction, where there is still the actual moment of designing a square and then a principle which provides for its logical transmission, for the teaching of its design. But the models are always, somehow, the single street, the specific square. the things that can be perceTved in strolling-up and do-wn a street, constitutesthis totality. Naturally we mu~t_ examin~ this total architecture in terms- or-its parts.